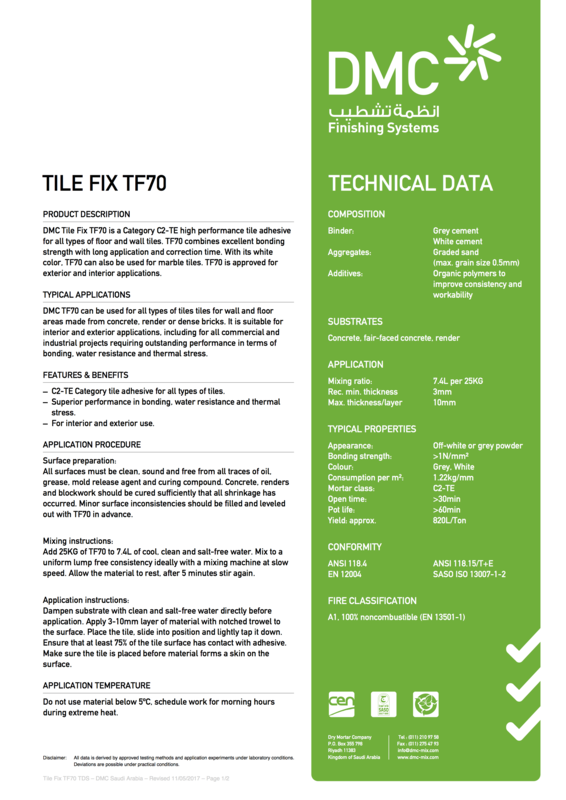 DMC Tile Fix TF70 is a Category CS II TE high performance tile adhesive for all types of floor and wall tiles. TF70 combines excellent bonding strength with long application and correction time. With its white color, TF70 can also be used for marble tiles.